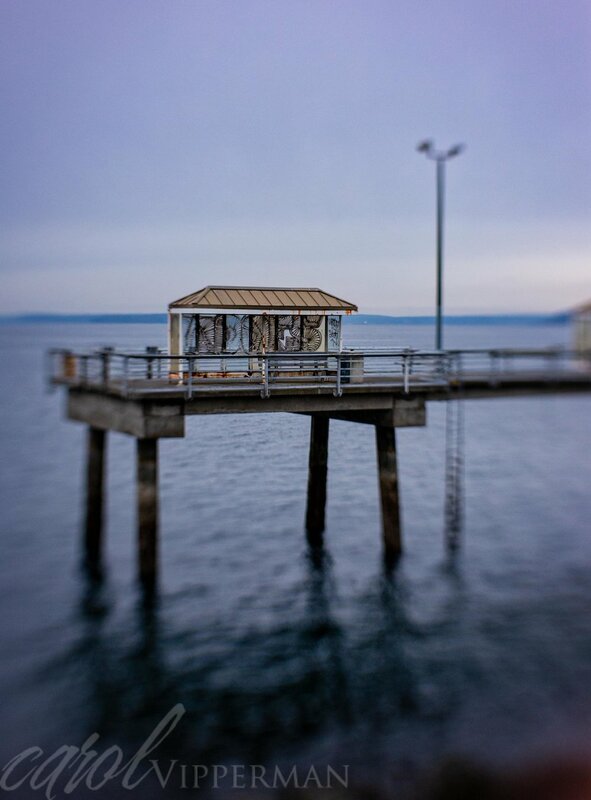 Until recently the weather here in Seattle hasn’t been the most ideal for taking landscape photos. The skies have been overcast, the water in Puget Sound was grey, and it just wasn’t as interesting as I would have liked. That didn’t stop me from taking my camera out, however, but it did mean that I needed to rely on post-processing to make the images that I had envisioned while out walking. Over the years many photographers have argued about ”getting it right in camera” versus using post-processing to create impactful images. I agree that it is important to get the elements right in camera, but I shoot in raw mode, which means that the images are pretty flat. The good news is that shooting in raw gives me plenty of data to play with in post-processing. The image below gives you an idea of what a photo looks like when first shot with light editing in Lightroom. 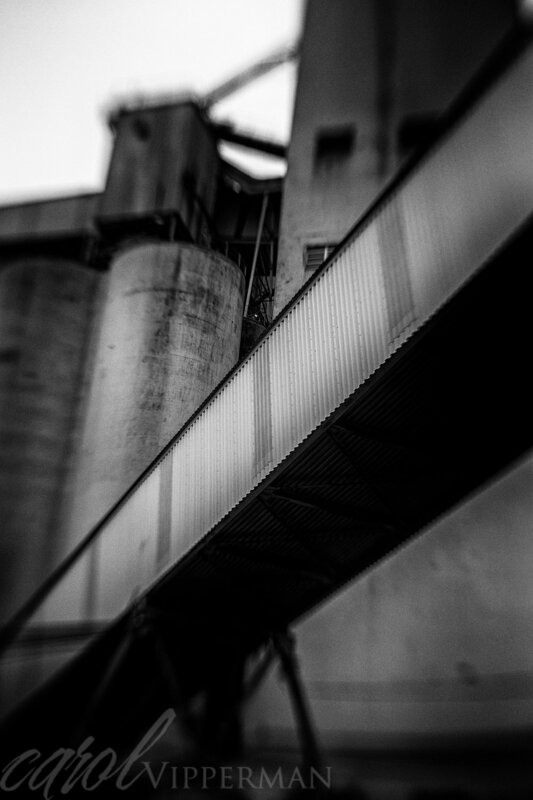 I took this with my new Lensbaby Sol45, so you can see the blur around the edges. I uploaded it to Photoshop to remove some of the bright spots, and then decided to use Nik’s Collection Silver Efex Pro (now owned by DXO) to transform it into a black and white image. I loved what I was able to create. By turning it into a black and white image I was able to create a mood that was far more interesting than the original, slightly edited image. I also use Skylum’s Lumniar 2018 which is an amazing editing system that you can use as a stand-alone or as a plugin for both Lightroom and Photoshop. Again the sky was overcast, but the vivid fall colors spoke to me. The image below is what I started with, which wasn’t too bad after some editing in Lightroom, but I think the top one pulls you into the brilliant orange. Whether or not to use post-processing is a personal decision, and in some types of photography such as sports and photojournalism, post-processing is taboo. But for most of us, it is an option that we can use to make our photos pop. I subscribe to the belief that 50% of an image is captured in camera and the other 50% through post-processing. I love creating photos that have impact and express my creative vision. I welcome your thoughts, so please comment below, post on my CameraWalking Facebook page, or send me an email: carol(at)carolvipperman.com. If you would like to receive new posts please send me your name and email at carol(at)carolvipperman.com. I would be happy to add you to my list of followers.